Unique Gardens and Landscapes, your number one source for your landscaping needs. Never used us before? Receive 10% off labor during our first service for you! Imagine your yard illuminated by the glow of lights! With the darkness of night comming so early this time of year, now is the perfect time to install outdoor lighting. Call us now to get a price quote or schedule the creation of your dream lighting. 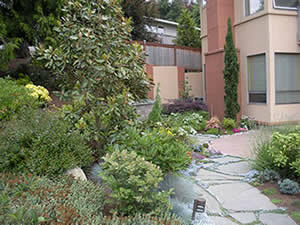 Unique Gardens and Landscapes is one of the premier full service landscaping companies in King County Washington, serving the Seattle, Bellevue, Tacoma area. Our services include landscape installation, landscape maintenance and irrigation. Our experienced landscapers guarantee clean, prompt, and thorough service. Unique Gardens and Landscapes is a professional landscaping company that takes pride in our work and how happy we make our customers. We proudly provide top-quality service and our experience and expertise allow us to ensure high standards on every job. We serve both residential and commercial properties. Don't trust your landscaping to just anyone. Unique Gardens and Landscapes is licensed, bonded and insured. We offer a wealth of experience and expertise, at affordable prices. Cities where we provide service include Seattle, Mercer Island, Bellevue, Issaquah, Renton, Maple Valley, Covington, Kent, Des Moines, Federal Way, Auburn and surrounding cities and neighborhoods. Content copyright 2011. Unique Gardens and Landscapes. All rights reserved.